If you feel like you need to drink to feel more comfortable in social situations, you’re definitely not alone. Anxiety statistics show that some 15 million people in the US alone struggle with social anxiety with 20 percent of these people experiencing alcohol abuse. Anxiety and drinking alcohol go hand in hand…in more ways than one. People often use alcohol to manage their anxiety, but most don’t realize that alcohol actually makes anxiety worse. While it may seem like an excellent aide in relieving the anxiety many people feel in social situations, alcohol causes anxiety and makes people feel more anxious. Simply stated, alcohol anxiety is anxiety that is directly caused by drinking alcohol. How exactly does alcohol make people feel more anxious? Much of the effect is long-term, and, while many people would argue that alcohol relaxes them in social situations, it’s really doing the opposite, particularly over time. Alcohol anxiety is very real and can seriously impact someone’s life. Below are a few ways that alcohol is known to increase anxiety. Even though thousands of people drink to relieve their anxious feelings, drinking is actually doing more harm than they might ever begin to imagine. When we drink alcohol, we literally change the chemical composition in our brains. Serotonin (a “feel-good” chemical in the brain) levels are drastically affected. We feel “better” when we drink, because serotonin levels spike, but when we stop drinking and begin to come off alcohol, serotonin levels drop, making us feel worse than before. Excess alcohol causes serotonin levels to drop and increases feelings of anxiety and depression. Drinking alcohol increases your heart rate, which can put you in a nervous state. Regularly consuming alcohol to relieve anxiety will keep your heart rate constantly elevated, holding you in a perpetual state of different levels of anxiety. 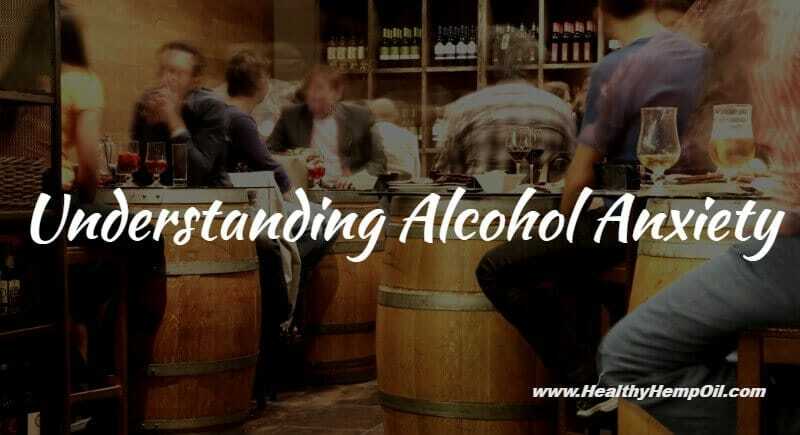 The nervous system is immensely affected with alcohol use as your body works tirelessly to fight off the depressing, sedative effects alcohol induces. Drinking alcohol also reduces levels of vitamin B6, which is directly responsible for mood regulation. When your blood sugar drops, it’s likely that you will experience some anxiety, and drinking alcohol is directly related to decreased blood sugar levels. When our blood sugar drops, we’re more likely to feel confused, anxious, shaky, and nervous. The way we feel the day after a night or day of drinking is drastically different from how we feel while we are drinking. Drinking can cause huge drops in concentration levels and totally decrease healthy mental function. Even a few drinks of alcohol can actually cause anxiety, depression, and disorientation. The effects of drinking alcohol to relieve anxiety are well known, and many people turn to drinking alcohol on a regular basis to avoid feeling anxious. The problem with this is that they so enjoy how alcohol affects them in social situations that they begin to turn to alcohol on a regular basis to relieve their feelings of social angst. This is what’s known as “self-medicating,” and there are countless people doing it on a regular basis. As we’ve indicated, while drinking alcohol may seem like an excellent way to relieve social anxiety, it’s actually one of the worst things someone who suffers from anxiety can do. Regular alcohol consumption causes a number of different problems in both personal and professional worlds. Continuing to self-medicate with alcohol increases anxiety, but then one might just drink more to escape this anxiety. Thus begins a vicious cycle that quickly deteriorates a person’s quality of life. You drink to relieve anxiety, drinking causes anxiety, you drink more to relieve that anxiety. Alcohol dependency is very real and can happen before an individual even realizes it. If someone continues to self-medicate for anxiety with alcohol, he or she will only find that the anxiety continues to increase. Many people who have chosen to self-medicate with alcohol have quickly found themselves living with not only increased anxiety but addiction as well. Just as anxiety presents itself in many different ways, there are also different types of alcohol anxiety. Knowing the difference can help you better understand yourself or others who have chosen to self-medicate with alcohol to relieve anxious feelings. Drinking alcohol has some profound effects on the body and mind. Not only can it negatively impact brain function, but it can dramatically reduce one’s physical capabilities as well. Alcohol-induced anxiety is very real and can cause anxiety in people who have never experienced anxiety in the past. Alcohol abuse can be the cause of nervousness and moderate to severe anxiety and has been shown to induce panic attacks. From mild hangovers to full-blown alcoholic withdrawal symptoms, alcohol anxiety can result from coming off alcohol. Even people who rarely drink will find that they feel mildly anxious for a day or two after drinking. For those who have become dependent on alcohol, anxiety serves as a big part of alcohol withdrawal. They’ll often try to relieve this anxiety by drinking more, which, in turn, just causes more anxiety. Alcohol is not a treatment for anxiety. It is actually one of the worst things you could use to try and relieve the anxiety you might be feeling. 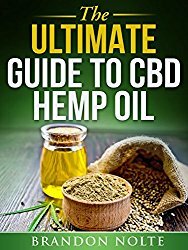 If you struggle with alcohol anxiety, the best thing you could possibly do is quit drinking and begin to turn towards natural alternatives to help calm anxiety and relieve your symptoms. If you experience social anxiety or any other anxiety disorder, you might want to consider talking to someone about your feelings. Hitting the bottle is going to do nothing but hinder your ability to overcome your anxiousness. Have you ever used alcohol to overcome anxiety? If so, did you find it made things better or worse? Did you find any natural methods that helped control your anxiety and make you feel better in social situations? We’d love to hear about it in the comments below!